Starting from the second row of the grid in race 2, Ryan had a differential failure off the line so he had to quickly move to the side of the track as 20+ classic V8 touring cars howled past. The brand new diff was quickly pulled from the Torana back in the paddock and another spare unit fitted ready for Race 3. 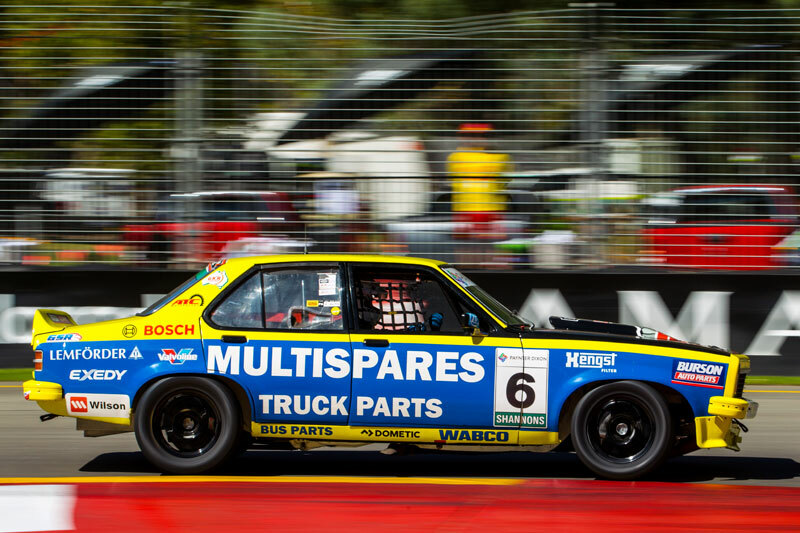 For Race 3, Ryan started 20th and carved his way through the field finishing in 7th place, with the Multispares Torana receiving plenty of TV time because of some great battles along the way. With finishes of 6th, 7th and a DNF, Ryan started race 4 from just inside the top 10 and it wasn’t long before he was in 6th and on the tail of a group of 3 cars. On full attack mode and driving the wheels off the SLR5000 Torana Ryan dived up the inside of Tony Karanfilovski in his Mustang (who squeezed him against the inside wall) but just carried a little too much speed in, climbing the inside kerb, so by the time the Torana landed Ryan couldn’t spot it and he was into the tyre bundle at turn 3. 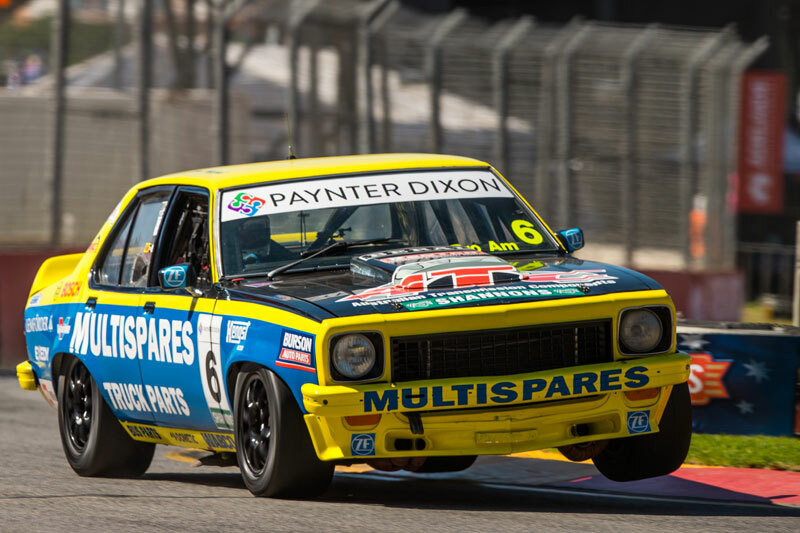 While the TV camera’s were trained in on the Multispares Torana, Ryan was able to back out, and limp home for 13th, and once again showing that “win or bin” is alive and well. – Round 2 is in Tasmania at Symmons Plains on April 6-8, and once again qualifying and all 4 races will be telecast live on Foxsports. – Remaining Touring car Masters series.